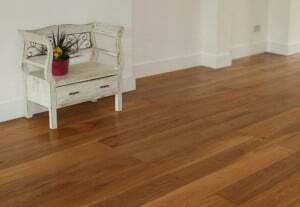 Oak flooring has come a long way in recent years, from a flooring solution that suited only a small number of projects, it is now abundantly featured in residential and in commercial projects across the world. A number of changes have contributed to this influx in Oak wood flooring adaptation, from colour technology that can turn Oak flooring into a light or darker flooring solution to the sourcing of Oak wood from ethical managed forests. If you are thinking of fitting such flooring solution in your interior, here are just a few of the considerations that your interior designer will consider. In previous years, there was only one type of Oak flooring made from natural wood. Called ‘solid’ Oak flooring it inherited the natural limitations of Oak that made it either suitable or unsuitable in your project. Nowadays, you will also come across ‘engineered’ or ‘machined’ Oak flooring so the chances of fitting Oak flooring in your projects even in unusual circumstances grow. Let’s look closer at both types. 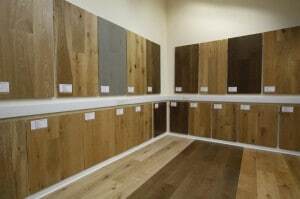 Solid Oak Flooring – Often described as ‘real wood flooring’, each floorboard plank is made from complete natural Oak wood. On the one hand, it results in an extremely strong floor that can cope with extensive foot traffic (such as in commercial properties for example) and owners have the ability to sand and recoat the floor many times over during its service life. On the other hand, the natural limitations of wood in terms of damage from damp or wet conditions apply here making solid Oak flooring unsuitable to fit in the bathroom or kitchen areas. In all other respects, it makes for a fantastic floor. Engineered Oak Flooring – Often referred to as ‘semi-solid wood flooring’, each floorboard plank is made from a top layer of natural Oak wood and three to seven supporting layers of artificial materials. Visually, this alternative flooring solution looks identical to solid due to the use of natural Oak wood as the top layer and suits all circumstances. On the one hand, it can be fitted in damp or wet areas as well as over under floor heating if one is present. On the other hand, service life is shorter and owner’s ability to sand and recoat the floorboards is limited. 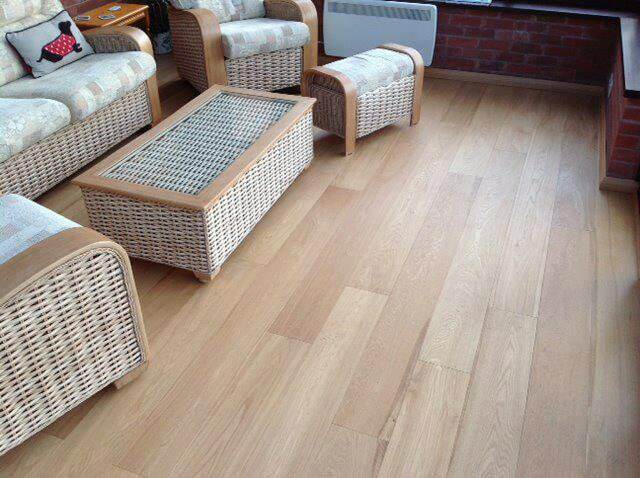 Engineered oak flooring can fit any property and most areas within the property. Solid oak flooring is only limited by the natural characteristics of wood in terms of damage from wet conditions or from extensive heat causing the floor to rise (such as when fitted over under floor heating). Both solid and engineered types contain real Oak wood. In the case of solid, it makes for 100% of the floorboard, while in the case of engineered it makes for a top layer of 3mm to 6mm thick. Natural wood may contain few or many sapwood and knots determined by its grade. Your choice of one grade over another will not impact the quality of the floor it is merely a visual indication based on personal taste and your budget. Let’s look closer at your options. Prime or AB Grade – Prime is the ultimate grade for owners who are looking for the most refine wood. It means that both sapwood and knots are pretty much non-present. It is therefore the dearer option of the bunch. Select or ABC Grade – Select is the next one on the list and in which sapwood and knots will start to appear randomly. You should expect limited sapwood not exceeding 10% of the floorboard and knots of up to 20mm in size. Natural and Rustic Grades – Also referred to as ABCD (natural) and CD (rustic) grades, the two will present significant sapwood and knots in sizes of up to 35mm. These basic grades make the floor more affordable and often the choice when large areas are to be covered on a tight budget. Environmentally minded individuals have refrained in the past from fitting Oak flooring due to the impact of irresponsible logging on natural forests and habitats. Nowadays stock is sourced from managed forests in which tress are replenished and your decision to fit Oak wood does not harm natural habitats. If you have any concerns as to the origin of the wood, talk to your Oak flooring supplier prior to making the purchase. They in return will account for the origin of the wood. Several organisations such as the FSC (FSC Forest Stewardship Council) will even hand out certificates to vendors who can prove ethical sourcing of their woods. Written by Jonathan Sapir, managing director of WoodandBeyond.com. Make your walls beautiful without paint or wallpaper. Need help in selecting colors for your home?